Commercial Property Achieves 100% Occupancy - News - Resources - Allied Commercial Real Estate, Inc.
Chino Valley Business Center accomplishes 100% Occupancy with the professional assistance of an experienced Allied Commercial Real Estate agent. Chino Valley Business Center is a multi-tenant business park consisting of seven commercial buildings totaling 78,528 square feet. Tenants had been going out of business and leaving empty suites at the Center due to the recent poor business economic conditions. The Center owner was finding it difficult to replace them with new qualified Tenants. They had done the leasing in-house for years, but at the beginning of 2011 knew they needed to do something different to turn around the increasing vacancy. Steven D. Roppel, an active commercial real estate agent in the area, had previously represented several Tenants to lease at the Center and other local properties with the same ownership. At the beginning of 2011, the building owner agreed it would be a good fit if Mr. Roppel were to market Chino Valley Business Center for them. Mr. Roppel rolled up his sleeves and got to work. After implementing a property specific marketing plan focused on increased exposure for the property and reaching out to local businesses and real estate agents, the offers to lease started coming in. Mr. Roppel worked closely with the building owner to structure leases that make sense for both the Owner and the Tenants. In less than one year, the property reached 100% occupancy – which is uncommon given the current real estate conditions. 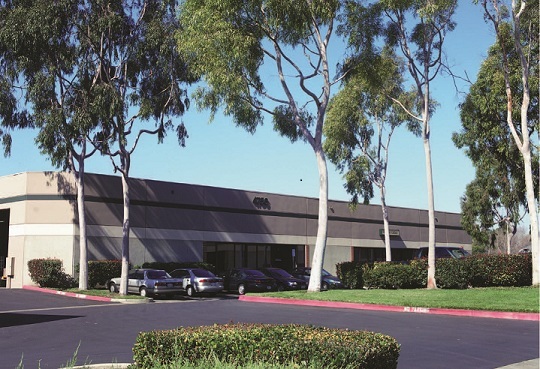 Mr. Roppel was responsible for 19,604 square feet being leased in 2011 to eight tenants, representing one fourth of the entire 78,528 square feet at Chino Valley Business Center. Steven D. Roppel is a Senior Vice President at Allied Commercial Real Estate and can be reached at (909) 297-0881 or by fax at (949) 666-7439, or email at %3Ea%2F%3C6000ps4000ps2000psg1000psleppors%3E%226000ps4000ps2000psg1000psleppors3000psot2000ps%22%3Dferh%20a%3C.